Like most people, Rachel Heinz had never heard of Changing the Face of Beauty until she was a mother. 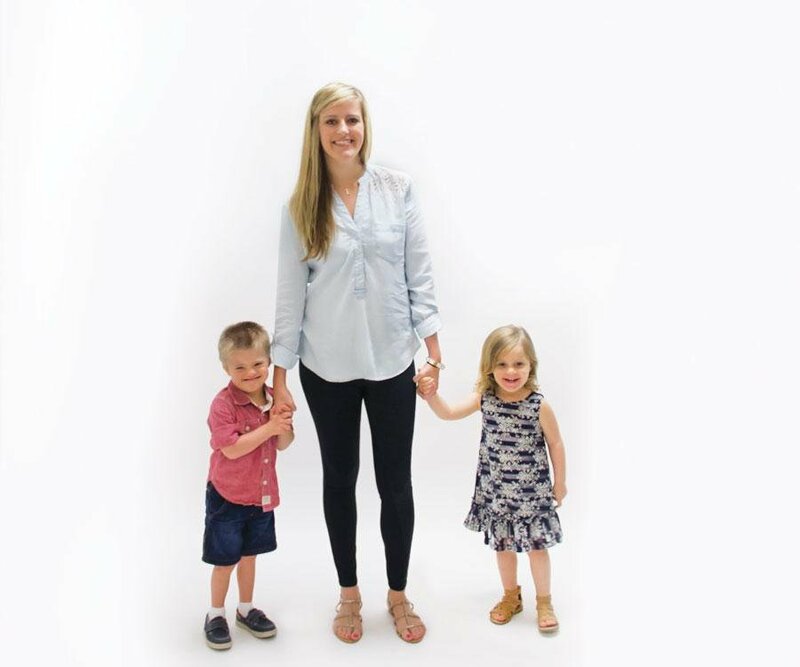 When her son, Hudson, (now 3 and a half) was born with Down syndrome, she started becoming more aware of issues with inclusion of kids with disabilities. She discovered Changing the Face of Beauty, a campaign started by Katie Driscoll, a Chicago mother looking to encourage businesses to include children with disabilities in advertising and media. Driscoll noticed a lack of children with disabilities in back-to-school ads, so she held a casting call and created her own. 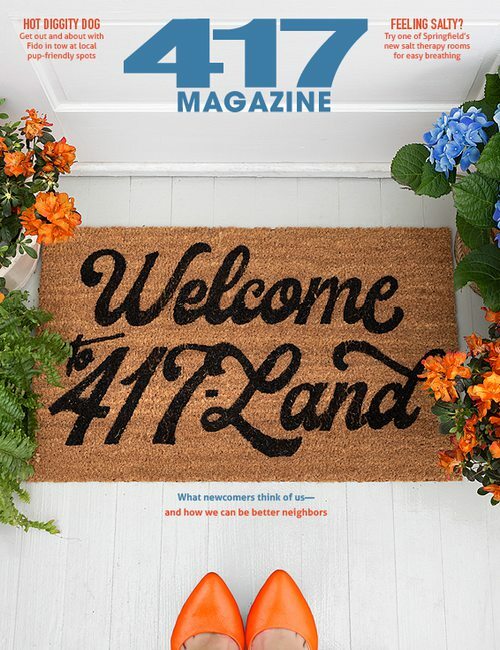 Now Heinz uses her connections in 417-land to raise awareness about the campaign, and she hopes to get more businesses involved. 417 Magazine: Why is inclusion so important for kids with disabilities? Rachel Heinz: I had thought about inclusion before, but I was never as passionate about it until after Hudson was born. I thought back to my experience in school, and I felt like things were so separated. Kids who had a diagnosis like Down syndrome were in a different class. I never really had friends with Down syndrome. I wanted Hudson to be included and have friends of all abilities and not be segregated because he has a diagnosis. When Hudson was born one of my biggest fears was what he wouldn’t be included or people wouldn’t see him for who he is. I don’t want them to see him as a Down syndrome person. I want them to see him as Hudson. He has a diagnosis of Down syndrome, but that doesn’t define his capabilities or where he’s going in life. 417: How did you start getting involved with Changing the Face of Beauty? R.H.: I had heard about Changing the Face of Beauty over the past few years, and I had a photography business, too, that I had started after Hudson was born. I took a picture of him in an Under Armour hoodie from Jellybeans. I showed the picture to some photographer friends, and they said “This looks like it could be an ad for Under Armour.” I posted it to Facebook with the hashtag #changingthefaceofbeauty, and I was trying to educate people on what it is because I really believe in it. 417: What kind of response did you get after you posted his picture? R.H.: I posted it, and people were sharing it, so a lot of people saw it. The response from our community was really overwhelming. There were a lot of retailers who wanted to get on board. Jellybeans and STAXX did a full-page ad in 417. Frolic Magazine wanted to do a story about it, and KY3 did a story. A lot of people in the community wanted to share about Changing the Face of Beauty. I think a lot of people saw the bigger picture of it. 417: How do you continue to spread the word? R.H.: I’m constantly looking for ways to educate people about it. I think a lot of people believe in it, but they just never really considered it. My efforts have been trying to raise awareness and get businesses involved. I think if more businesses knew about it and understood what it was, it would make a big impact and benefit them, too. It doesn’t cost businesses any more to do that, and, in turn, it rallies support for them. If people with disabilities are the largest minority, that’s a pretty big chunk of people who could start buying products. You want to support businesses that have a real representation of the world. 417: Why do you think campaigns like Changing the Face of Beauty are important in 417-land? R.H.: People with disabilities want to be represented in media and advertising because they’re part of our world. If you put yourself in their shoes, they’re flipping through a magazine, and they’re seeing all types of people, but they’re not represented. I think that would be hard. It’s important for people to embrace differences and practice inclusion across the board in life. I think advertising and media have such a big impact, so if people with disabilities aren’t represented there, what message is that sending? My vision is that it would become a normal thing. You would be flipping through a magazine and find an ad and see [kids with disabilities] and it not even be a big deal. 417: Have you met Katie Driscoll, the founder of Changing the Face of Beauty? R.H.: We have emailed back and forth, and I’ve mailed her copies of the stories. We talk on Facebook and she’s really sweet and encouraging. When I first started reaching out to local retailers, I asked her what the best approach was and if she had any advice. I didn’t really know anything about the campaign and wanted to get on board, and she is the one who started it, so it’s cool to have that relationship and be able to talk and get advice.